Students who want a career in medicine and research can apply to the MD-PhD Scholars Program. Training begins the summer before medical school, where students participate in laboratory rotations to select a research mentor. After the second year of medical school, the student begins the graduate studies portion of the program. This part of the program lasts about 3-4 years. After that, the student rejoins the medical class for two years of clinical training. The combine degree takes about 7-8 years. 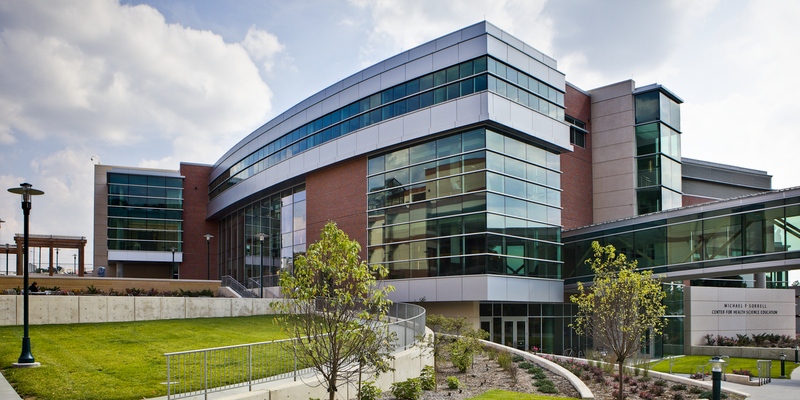 Students will take core medical school classes (first and second years) in the state-of-the-art Michael F. Sorrell Center building - the home of the College of Medicine. Research and lab activities can take place all over campus, including in the Durham Research Center towers and the Fred & Pamela Buffett Cancer Center. Students interested in summer research opportunities should visit the MD-PhD Summer Undergraduate Research Program website for application instructions and information. More information about housing, tuition and fees, students organizations, etc. can be found on the Student Services website.